Mary Halvorson, "Songs that Get Stuck in My Head"
Just come back from an hour-long afternoon public workshop with guitarist Mary Halvorson at the Roundhouse Community Centre in Yaletown, part of the last weekend of the Vancouver International Jazz Festival. It was a real privilege to hear her talk and play. 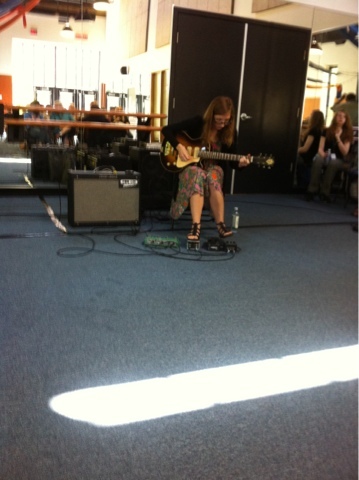 She was personable and articulate, taking questions and playing a handful of brief solo improvisations. She confessed that she was in the midst of “working on solo guitar music,” and that she hasn’t really performed solo up until this point in her career as an improviser. She said that she had decided to base her nascent solo work on “songs that get stuck in my head,” which at this point were principally jazz standards, although she was also looking to various “compositions by other people” as source material. She admitted that she tends to focus on melodies and has a harder time “remembering the chords.” But there was nothing diffident or self-effacing in her aesthetic or in her performing; her spotty memory seems to offer creative opportunity rather than impediment. Or, as she put it, “I’m going to make up my own chord changes to these existing melodies.” She offered a foreshortened but compelling version of “Beautiful Love,” laced with pitch-bent burbles, halting twangs and lyrical turn-on-a-dime redirections. She likes, as she said, “weird left turns and falling off cliffs” in music–her version of the “sound of surprise”– but her playing also drew out a gently fraught lyricism in each of her lines. If this really was a hint of what’s to come, her solo work is going to be beautifully unsettling and eclectically brilliant. She talked at some length about some of the challenges she feels she is facing combining her own idiosyncratic approach to the instrument with a more idiomatically “jazz” approach to playing and to musical form. (In fact, before she began talking, she played us a track from her iPod, Johnny Smith doing “Moonlight in Vermont,” and admitted her love of Smith’s sound. Smith had passed away a little over a week ago.) 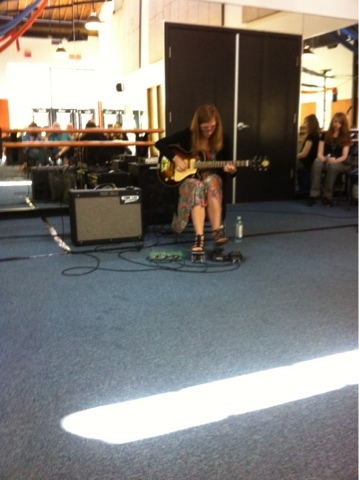 She also played a track from her yet-to-be-released septet album, roiling layers of horn and guitar. When asked about connections between her styles of band leading and composition, she said she tries to enable and to support the members of her group, and is keen “not to be too controlling.” She pointed to her experiences with Taylor Ho Bynum‘s sextet–the example was suggested by someone in the audience–as a possible model for relinquishing control and instead creating democratic interactions among the players. At the same time, referring to her studies with Anthony Braxton (whose music she said helped her decide to drop her courses in biology and pursue music) and with Joe Morris, she said she felt that “the teachers you have really shape who you become,” noting that both of these mentors encouraged her to follow their example in seeking out her own idiom, her own ways of making music. A brief improvisation built from cascading pulses closed out the workshop. 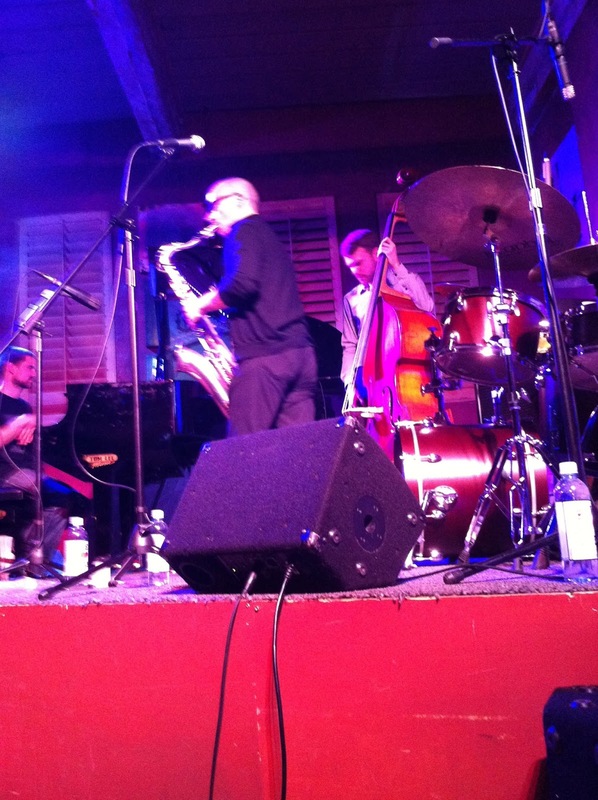 Of the remaining numbers in the set, “Phaedrus” seemed to draw on the idiom of Steve Kuhn’s ECM quartets with Steve Slagle, while the waltz-like ballad “A Life Long Moment” was affectingly lyrical. The alternately falling and lifting cadences of the oddly-monikered “Lardy-Dardy” produced a sinewy, organic swell and flux. “Triality” was built around a Dave Holland-like freebop line, while the quartet’s encore – called “Pick It Up,” I think – offered a floaty, looping shuffle. The concert felt like witnessing the emergence of a historically savvy, formally propulsive and musically progressive ensemble. It was a warm, involving and affirmative performance. Despite 50 years in the music business, [Bettye Lavette] remains largely unknown (“We’ve just completed the ninth year of our Who The Hell Is She Tour,” she joked to the audience), and seems determined to prove herself with each performance. The accepted notion is that age confers a spirit of reconciliation and serenity on late works, often expressed in terms of a miraculous transfiguration of reality. . . . But what of artistic lateness not as harmony and resolution, but as intransigence, difficulty and contradiction? Bettye Lavette offers us neither one of these alternative alone, but sings instead with a resilient, difficult beauty. “Late style,” as Said puts it, “is what happens if art does not abdicate its rights in favour of reality.” In her voice, I hear a collision of fierce self-awareness and commanding aesthetic presence. For real. In the next handful of posts, I’m going to parcel out some revisions of a sixty-odd-page draft of what remains of a chapter for a book (once called Earmarked) that was never to be, maybe never meant to be. The chapter, which I called “Keith Jarrett, Yard Sales, and the Commodification of Genius” was occasioned by me finding (about ten years ago now, maybe longer) a fairly pristine LP copy of Keith Jarrett’s famous and well-circulated Köln Concert album at a yard sale in Vancouver, and also by a brief and really unremarkable exchange I had with the seller over the right price. The chapter was intended as a recuperation of a Marx-influenced formalist materialism, close to the sort practiced by Theodor Adorno about forty years earlier; as an implicit plea for the necessity, in our own time, of a kind of critical archaism, a deliberately out-of-step temporality; and as an interrogation of the figure of the postmodern genius, or of the virtuosity of the extemporaneous thinker. How does improvisation either resist or accede to becoming cultural capital? Is its cultural capital, in fact, inscribed or encoded into the work of resistance? One of the things I like most about LPs is the way they absorb history. By that I don’t mean the history of the music, but also the history of each record as an object; records are repositories of music’s material culture. CDs seem less historically palpable than LPs. Collectible CDs? Maybe, but not for me. I think I tend, however, to lose sight, in the wake of this permanently self-revolutionizing theory, of what might still be said to constitute the core of a Marxist critical praxis. (Bannet appears unwilling to grant the positional solidarity of a proper name to her “Marxism,” given its decentred plurality.) Returning to canon, to the classic statements of value and revolution we might associate with Marx himself, doesn’t prove particularly satisfying, either. The demand that workers of the world unite, for example, would serve as well for a slogan for Benneton advertising as it might for union bureaucracies, and clearly re-inscribe a deeply problematic collective determinism that is deeply endemic to the hegemonic forms of western politics. (What workers do we mean? What constitutes work? How is a proletariat demarcated? What world do we mean — first, second, third or fourth? Unite on whose terms? How?) It is difficult still to hear a deeply felt call for socialist revolution. Manifestoes date themselves, locked into their own inevitable anachrony. The flipside of such anachrony, its camera obscura inversion, has to be nostalgia. I remember when I was fourteen, or fifteen at the most, I bought from our local bookstore a blue-spined Pelican paperback version of The Communist Manifesto. It’s short, a quick enough read, but it is also so historically and materially specific in its frames of reference, with its welter of dated prefaces and that its smallish scholarly apparatus (by none other than A. J. P. Taylor), that I had a hard time feeling anything of the insistent presentism of its famous opening: “A spectre is haunting Europe . . . .” but a spectre that felt, at least as an adolescent reading experience, more archaic than disturbing. I wasn’t a particularly careful reader, sure, but I seemed to know that the book, that this particular book, could have very real transformative power as a material object. I could use that manifest spectre, I mean, to scare my parents. Which is exactly what I think I did. I remember announcing to them from the back seat of the family car, book in hand, that I had become “a communist.” I hadn’t joined any political organizations, of course, and I don’t think I even knew anyone who was especially political. I think my parents took my declaration fairly calmly, assuming I had next to no idea what I meant, which wasn’t exactly true. I knew some things. I think, looking back, that this announcement offered me a point of Oedipal differentiation, a small shock I could leverage into separating myself from the everyday security of a safe middle-class paternalism. I’m not sure why I wanted to do this; privilege will feed and clothe you. Maybe I liked the idea of risk, without any experience of it. This moment, when saying “communism” offered me the literary pretense of action, a very small-scale moment of teenaged shock-and-awe, was also the moment when politics – at its very outset, even – deteriorated almost instantly into mere style. Praising the genius of Marx, for Engels, is obviously a way of acknowledging both his intellectual brilliance and his visionary acuity. The Latin etymology of the term genius – a transliteration of the Roman name for something like a guardian angel or “tutelar spirit” – is linked (my old companion W. W. Skeat suggests) to the idea of the genus, genetic kinship, creative or generative origin, maybe even to push things a bit, something like a muse, an instructive spirit. Marx’s genius, along these lines, makes him into a corrective spectre who haunts our world, and who persistently speaks against the oppressive tendencies of our times, a counter-episteme. Eagleton explicitly states that this Marx isn’t the one he wants to recover, the Marx of “moral and cultural critique” who seems to him next to impossible to dismiss as foundational to most critical projects in the humanities. And maybe this means leaving Eagleton behind now in my current trajectory; but it’s important to acknowledge how even Eagleton’s doggedly practical and political recuperation of Marx depends upon and is haunted by that genius. Jameson is talking about theorizing the postmodern, but – and I don’t think I’m out of synch here – he is also outlining a poetics here, at least implicitly, and even – in his gesture at rhythm – a musical aesthetic. And he’s talking, for that matter, about how Marx’s genius might materialize in contemporary language, how it might sound itself. The radical critique proffered by Marxism has remained, for Jameson, its “genuine historicity,” the insistence upon historical renovation — even to the point of facing its own immersion in the historical, its own perpetual theoretical anachronism — to which Kellner also holds. So, I want to use Marx as a point of departure for at least two reasons. First, my initial object of study, the yard sale, operates like a peculiar pocket of capital production and exchange both within and outside the complexes of regulation, distribution and control that constitute the wider market. Like Marxism itself, yard sales are inherently quaint. They are highly localized, interstitial formations at which nascent commodities, in the Marxian sense, are able to gestate, baldly exposed to view: yard sales offer an immediate display (an aesthetic) of capitalism in its infancy. Marxist critique, for a moment, applies. Second, the actual ideologeme that I want to isolate and interrogate – the production of “genius” – feeds back into the dialectic articulated by Marx’s eleventh thesis, tired as it may seem. 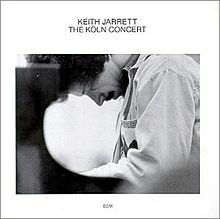 How is it, I want to ask, that an acquired object – in this case, a particular record by Keith Jarrett – shifts from a thing interpreted (as valuable, as meaningful) to a political manifesto, an immediacy which no longer simply represents but enables participation in a kind of community of action, a shift, as Keith Jarrett might say, from the passivity of audience member to the activity of listener. An apparently trivial, everyday act – buying a used album in somebody’s garage – presents a potential moment to call radically into question the structures of consumption and determination that almost invisibly and nearly inaudibly govern and shape us. Paradigm. New York: Paragon House, 1993. Print. to Dr. Funkenstein. Durham: Duke UP, 1994. Print. Philosophy. 1886. Translator unknown. http://www.marxists.org/archive/marx/works/1886/ludwig-feuerbach/ch04.htm. Web. Dialectic. London: Verso, 1990. Print. 1983-1998. London: Verso, 1998. Print. Here are live recordings, from a concert this past Friday evening, of soprano Phoebe MacRae and pianist Rachel Iwaasa premiering two new art songs, each using text taken from my poem “First Person Shooter.” The first, “Drift,” is a setting by Vancouver composer Alex Mah. The second setting, “Torn Daisies,” is by Winnipeg composer David Betz. The premieres were part of the Songfire Festival’s “Playing with Fire” concert, showcasing new music emerging from this year’s collaborative Art Song Lab, part of the Vancouver International Song Institute. My sincere thanks to Ray Hsu, Alison D’Amato, Michael Park and Rena Sharon. A quick post ad hoc from my mobile to initiate things. One of the research streams from the Improvisation, Community and Social Practice research initiative is called “improvisation and pedagogy.” A symposium on music education was held at the University of Guelph a couple of weeks ago that affirms a general tendency in this research stream to focus on improvised music, particularly jazz, as a model for education, particularly around practice-based research. Other significant threads want to develop community, collective and even networked paradigms for learning and for knowledge-sharing around the kinds of work done by the AACM in Chicago beginning in the mid-1960s. (See George Lewis’s A Power Stronger Than Itself.) My own interests, particularly as a pedagogically-untrained academic, involve assessing and exploring the implications of using both musical and theatrical improvisational techniques in the classroom. What are the cultural politics and the ethics around importing such aesthetic practices into an educational setting? 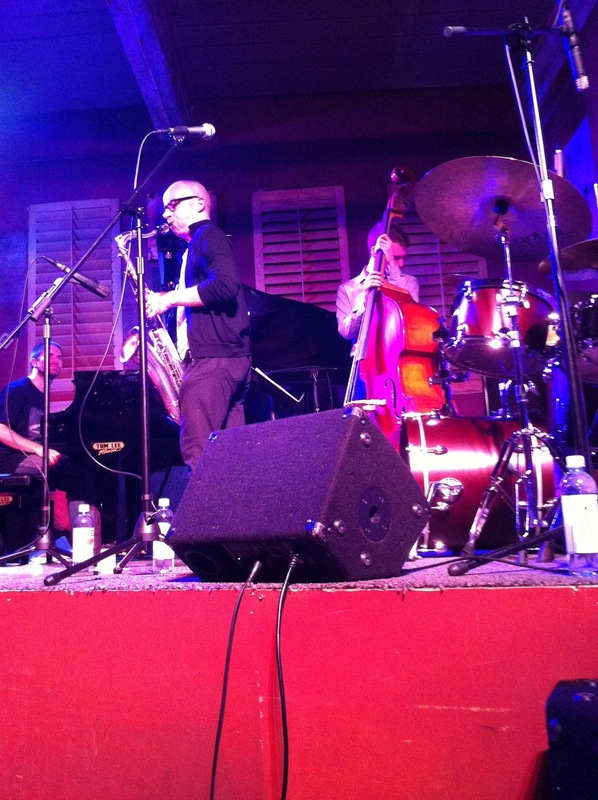 How can improvisation be theorized as a pedagogical practice? More to come. What came to mind watching and listening to the rehearsals, the workshops and then the performances of art-songs created this past week was a tensile interdependence of cantus and poesis. The poems, as song-text, were written first for the most part, although during the week some alterations and revisions happened, as words were adapted for and inclined toward the music. In some cases, the same poem developed into two distinct versions; in my own case, the words didn’t change, but one of the two composers working from it, David Betz, used an earlier draft (which I had sent him by e-mail, to let him see the progress I hoped I was making coming up with suitable text) as the basis for his composition, so a few words and phrases don’t appear in the finished poem. (For instance, the title of his art-song, “Torn Daisies,” uses an adjective I changed [to “shredded”] in the final copy.) But I am very happy to let these slippages stand, partly because they work in his setting, and partly because I think that such misprisions, whether deliberate or inadvertent, cut to the heart of collaborative interdependence: the words take hold in the music, but also have to be let go, partially and partly, by the poem from which they originate. In David’s case, his setting deliberately mines the original poem for phrases and word-clusters that he seems to have felt resonated with his own textural sound-palette, but he almost wholly disregards the narrative or even syntactical order of the poem itself (although he does end his song, for example, with the last line of the poem, so some structural imperatives could still be translated, for him). In this instance, the poem has to be released from its formal bands, as speech, to adapt to the melodic contours of song. Peut-être est-ce quand les mots, au lieu d’être en position servile des traducteurs, deviennent générateurs d’idées qu’on passe de la parole au chant? In practical terms – that is, in terms of the realization of an art-song and not merely its conceptualizing as an idealized poetic state of language – I think one element that might enact this tension performatively, audibly, is the technique of Sprechstimmeor song-speech (literally, speech-voice). In Alex Mah’s setting of the middle section of my poem “First Person Shooter,” which he titled “Drift” after an early version of the text, the vocal literalizes (as a kind of active reading, a lettering) this tension in phonemic stutter and repetition at the outset of the song (“st . . . st . . . stalled . . . stalled”), as if the grieving singer were unable to find her words, as if singing itself, as keening, were an act of verbal grief, stalling on itself. This stutter suggests both semantic shortfall – not having the words – and creative agon, a voice contesting its existential impediments to find an expressive diction. The words of the poem initiate and thematize this agon, but it can only fully realize itself in musical performance, becoming song rather than recitation. A little further along in the setting, Alex introduces Sprechstimme, and even produces a performative version of what Paul de Man named an “allegory of reading” or what J. Hillis Miller might call a “linguistic moment,” as the vocalist falls back into her speech register to utter the word “unspeakable.” It’s a dramatic effect, certainly, but also a semantic paradox, in as much as she says that she cannot say, as song diminishes or frays back into utterance, retreating from the agon in the initial stutter, rendering it all but pyrrhic: a version, or perhaps an inversion, of what Martin Heidegger meant when he claimed, in poetry, that “Die Sprache spricht.” In the performance last Friday evening, Phoebe MacRae did a tremendous job conveying not simply the feeling of grief over the events to which the poem responds – the Sandy Hook shootings – but also the essential pathos of the shortfall of language itself, of our inability to make sense of the senseless. It’s a fine poem, which both investigates and resists the teleology of directions, of the map, to interrogate lyrically the concept of home-coming, of nostos. But our sense of home at the poem’s formal close has been unmoored, even rendered abyssal. The speaker-singer herself becomes a transitory and contingent site, permeable and unfinished. (Notice the absence, for instance, of closed punctuation – these sentences begin, but refuse to conclude.) The poem as descriptive list, as a catalogue of traits or a repository of images, hinges on a vowel shift – from the typographical (door-like?) rectangle of the i to the open oval of the o – between empirical certainty and placeless vacancy. Leah Falk’s spare melopoeia, a muted vowel-music, draws her words close to song, while also refusing the semantic surety of bel canto. Pathos emerges for me, as listener and as reader, in negotiating the fissure, the persistent and lyric gap between sound and meaning, not in wanting to try to suture it shut. But I also hear, no doubt anachronistically, a gentle prising open of high-blown seriousness in the playfully colloquial, mild irony [rather than stentorian certainty] of his last phrase, “as I guess” – not so much as discord, but as non-accord, as orchestrated difference. There was no reference to Chaucer, of course, in the discussion of Goethe and Schubert, but I’m digressing here to suggest the variously random and agnogenic resonances that emerged for me as I was listening and thinking about the respectful translation of text, from person to person, from setting to setting. I think that this playful uncertainty can offer a creatively energizing model – one path among many, perhaps – for translation, for collaborative intersections both within and among art-forms.) Her own resetting of the Goethe text, which she presented in a recording, was both lyrical and moving; but I also appreciated what I heard as Jocelyn Morlock’s willingness to embrace play in her music, not to undermine its aesthetic import but to sustain a non-exclusive openness that seems to me to be crucial to the collaborative work of art song in all of its styles and practices. 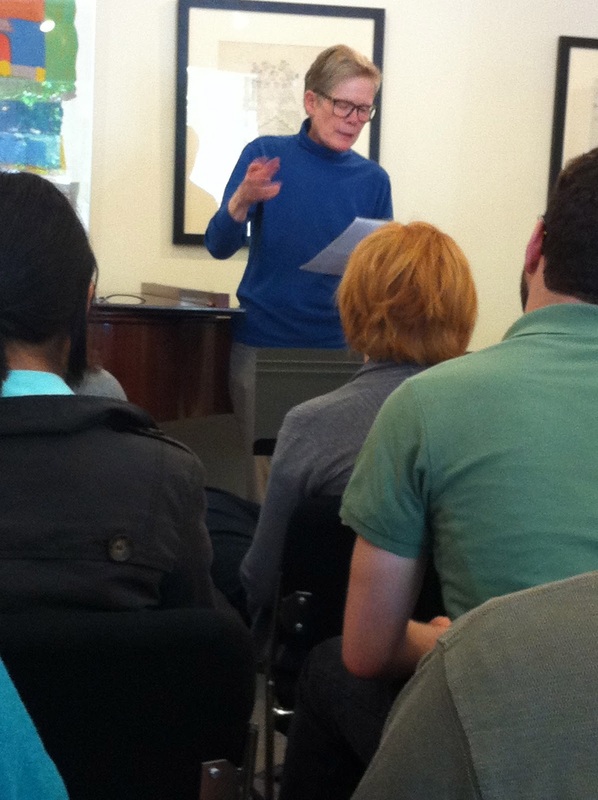 Betsy Warland conducted an excellent afternoon workshop on June 3 at the Canadian Music Centre focused on approaching art song from the vantage of a poet. She suggested moving beyond the poem as the genetic artifact for a song – as a source text that a composer then takes up and sets – and instead thinking more about the dynamic and nascent interrelationships between words and music, their interplay. Since the material coming out of the Art Song Lab is currently in development, participants are given a pretty much unprecedented opportunity to allow text and sound to intersect with and to reshape each other – a mutuality. Extending what Ray Hsu had said at our initial meeting the day before, Betsy Warland suggested that poet, composer, performer and even listener were engaged (both within and as a kind of network, I think) not merely in acts of interpretation but also in processes of mutual translation, a claim that for me gestures more fully toward the interplay of differences in the work, instead of encouraging a composer to ferret out various hermeneutic cohesions between his or her composition and the poem and aspiring to make the musical and verbal likenesses. The emphasis on the creative potential of difference, tension and experimentation – trying out other things – really enlivened the collaborative aspects of compositional practice. Practice might be a resonant word here, in its temporally contrary senses both of praxis and of rehearsal. Betsy Warland also strongly suggested that we develop our art songs by focusing on emotional integrity, continuity and fidelity to experience – all of which will produce works that function as dramatic, communicative acts, as good songs. But I also hear a bit suspiciously in such very practical and excellent advice the ghosts of the kind of hermeneutic organicism I am a little inclined to try to push through and to push aside in my own writing and thinking. She said she thought of art song as potentially negotiating a set of tensions (formal, conceptual, performative) in each song, on its own terms. Yes, exactly. So, the point might be not to discard the hermeneutic, but to tension it, to work at and through it. In the rehearsal sessions for the songs composed around my own poem, with soprano Phoebe MacRae and pianist Rachel Iwaasa, I found myself thoroughly impressed by the rhythmic sophistication both of the composers and of the performers. The poems on the page have very tight, specific syllabic rhythms (although the first section has been shifted out of an Emily Dickinson-ish small set of fourteeners and made into a brief prose-poem – though the folk-hymnal rhythms ought to still be ghostly there). Both composers took up the words from different rhythmic angles; Alex Mah’s score seems fairly particulate, pulling at, and apart, individual words into their phonemic and syllabic components, working at the fragmentation of pulse at the level of the word, while David Betz has lifted phrases and segments from the poem, crossing over linear and spatial divisions (as I had arranged them, lineated them) to create what are still fragments, but which have more extension by enjambing – which has the effect of drawing out slightly longer cross rhythms from the language. I find I’m not especially attached to the poem as a verbal artefact, as something of mine anymore, or at all. I like the ways in which in these settings it takes itself apart, and reassembles as something else, someone else’s, but still linked to what I started with. Rachel also mentioned how she negotiated triplets and rhythmic clusters of fives and sevens, but overlaying them in her mind’s ear with words – a cluster of seven against four, for instance, can be felt by imagining saying the word “individuality.” Cool, I think. The abstraction of musical sound returns obliquely to the sematic loadings and rhythms of the colloquially verbal.